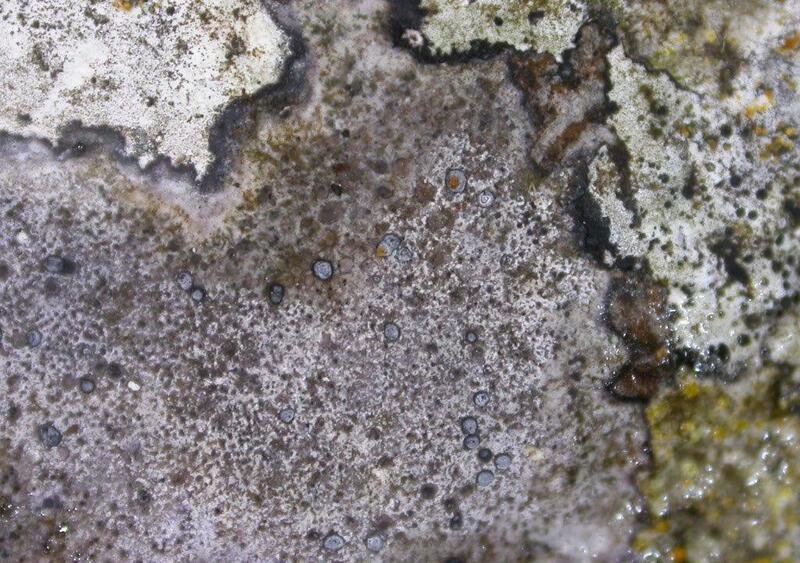 Caloplaca alociza. Probably the least typical Caloplaca species of all. It consists of small fruits, sunken into the substrate with an inconspicuous white or grey thallus. It resembles so many similar small fruited species with sunken fruits, that the spores must be checked. It occurs on hard, and particularly carboniferous limestone. This photograph was taken during the PSL meeting on Portland where it is not uncommon. In this case, the fruits are white pruinose which helps to suggest this species, but this is not necessarily the case.